CAT# 71800 is a Type 27 Steel Cutting Wheel. 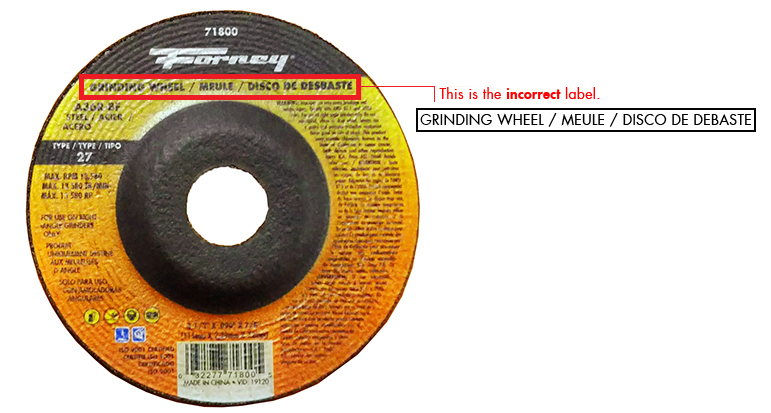 In some cases, the product “baked on” label indicates this as a Grinding wheel. These labels are incorrect. CAT# 71800 is not intended for grinding and if used for grinding may potentially cause harm. For required actions, see a full copy of the official recall letter here. 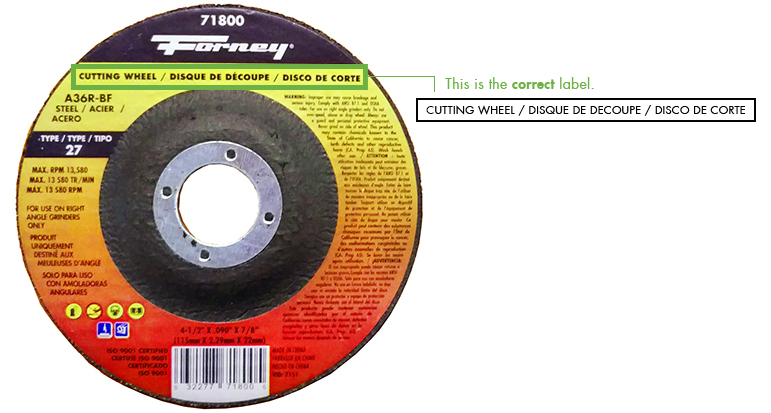 If you purchased Forney ITEM#71800, please check your item(s) and ensure that the labelling matches what you see below. 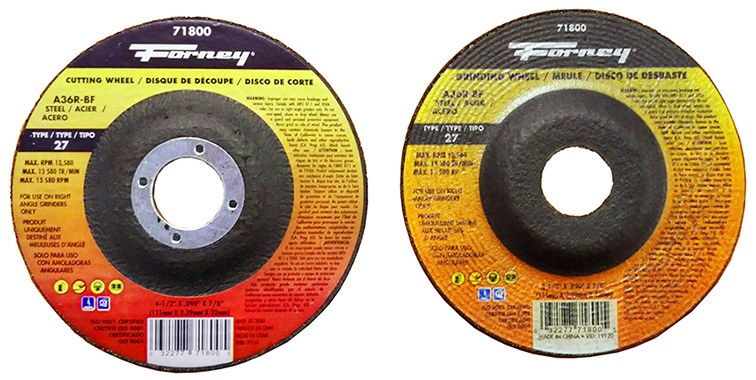 If your product(s) shows "Cutting Wheel" at the top, you do not need to take any further action. If the product(s) you purchased matches the label below and says "Grinding Wheel" at the top, please follow this link for further instructions.